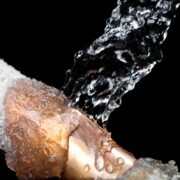 Frozen Pipes… Don’t Let it Go! 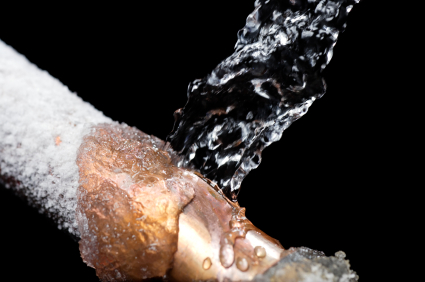 As the temperatures dip down into the teens and single digits it is important to try and prevent pipes from freezing. First and foremost keep your thermostats turned up a few degrees higher than normal even if the room or zone does not get much use. Also, if there is a fixture or bath group that has frozen in the past it is a good idea to keep water trickling a little as movement of water will not allow freezing to occur. Remember that the small increase on fuel consumption and water use will be far less than the cost of thawing pipes or potentially repairing your home from water damage. If you do have a freeze up situation please call Chase Plumbing Co., Inc. as we have all the equipment to help thaw out and repair frozen pipes. https://www.chaseplumbingcoinc.com/wp-content/uploads/2015/01/frozen-pipe1.jpg 282 425 Frank Curro https://www.chaseplumbingcoinc.com/wp-content/uploads/2017/06/chase-plumbing-logo.png Frank Curro2015-01-05 10:43:162015-01-06 10:45:02Frozen Pipes... Don't Let it Go!